Saturday the 13th of October, the 7th multiplier event of the Movement, Environment & Wellbeing project took place in the Netherlands, organized by IMBA Europe. 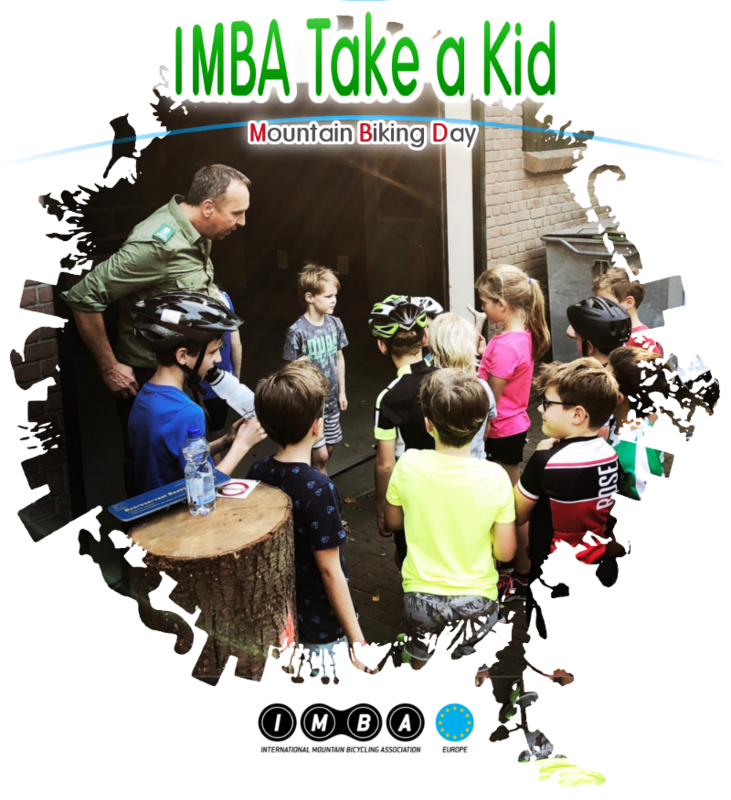 The existing concept of IMBA’s global Take a Kid Mountain Biking Day (TKMBD) was adjusted and converted into a family style, active leisure mountain biking activity. Different from the regular approach, this TKMBD did not only targeted kids to go out riding but also their parents. Reaching out to parents through their kids and showing them how much fun it can be to exercise together turned out to be a successful approach with a group of about 40 participants. Kids activities are low-threshold and therefore suitable for parents that lack experience in riding mountain bikes or might not have that much stamina yet. To make the activity more accessible, rental bikes were provided for those participants that had no mountain bike themselves. The start of the event was at the training ground of the local bicycling club, located on the edge of the municipal forest, still close to residential areas. The activity started with a basic riding skills training to make sure all participants felt save and confident on the bike. In four smaller groups, the parents and their children started the day with some exercises off and on the bike. The environmental aspect of the MEW project was addressed after the skills training when the group visited the local forest manager. The forester explained the value of the forest area and Natura 2000 site, showing the kids an antler of a red deer and inform all participants about access rules, trail etiquette and how to join as volunteer to maintain local trails.